Happy Cinco de Mayo to us! Pork tenderloin with a spice rub, slow-cooked in chipotle-orange-lime juice. 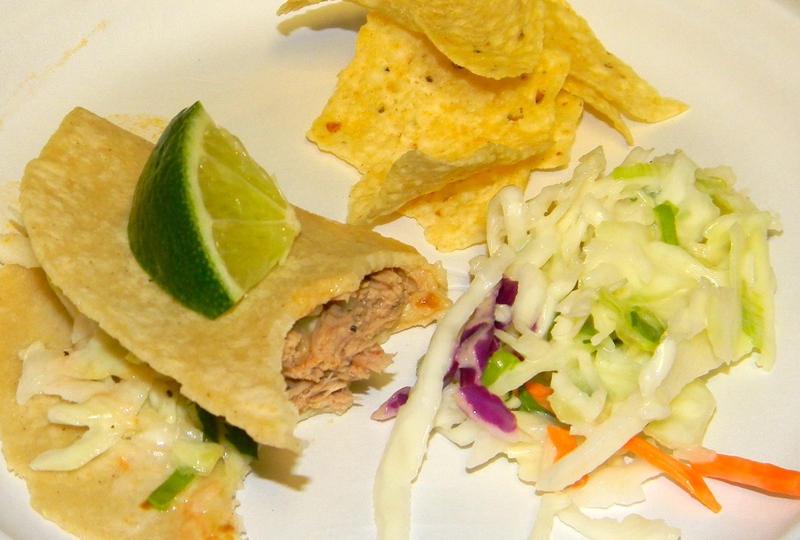 Slaw really does have a splash of tequila!, which gives it a nice tangy flavor with the lime. Winner winner taco dinner!